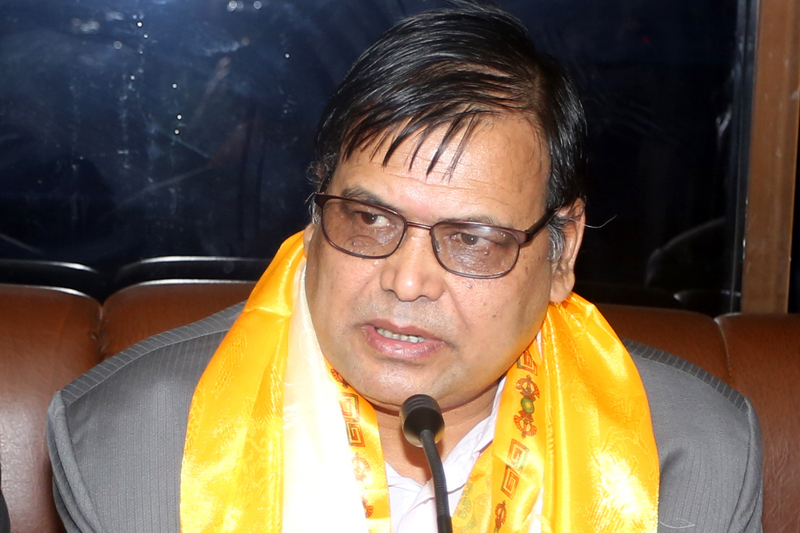 Dang – Speaker Krishna Bahadur Mahara has insisted on the need of unity among all political parties in development endeavours. Speaking at a greetings exchange ceremony organised by the Tulsipur Drinking Water and Consumers' Committee on the occasion of the Bada Dashain, Deepawali and Chhath festivals, the Speaker voiced for a concrete plan and combined efforts to save water resources which have already gone dry in many places. He suggested the plantation of bamboo trees in the upper northern part of Dang and complete halt to limestone extraction to find a solution to the water crisis in the district. National Assembly ( NA) member Komal Oli and State Assembly member Uttar Kumar Oli, among others stressed that local users' committees should actively work to ensure the distribution of quality water.